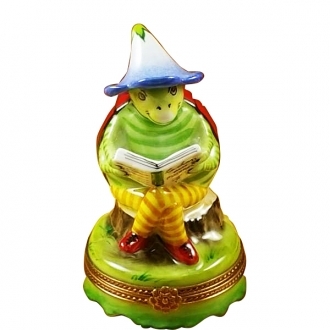 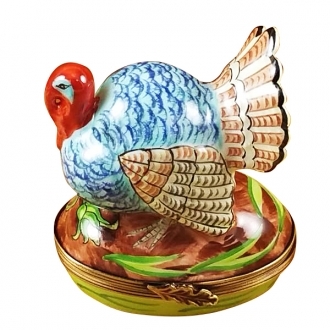 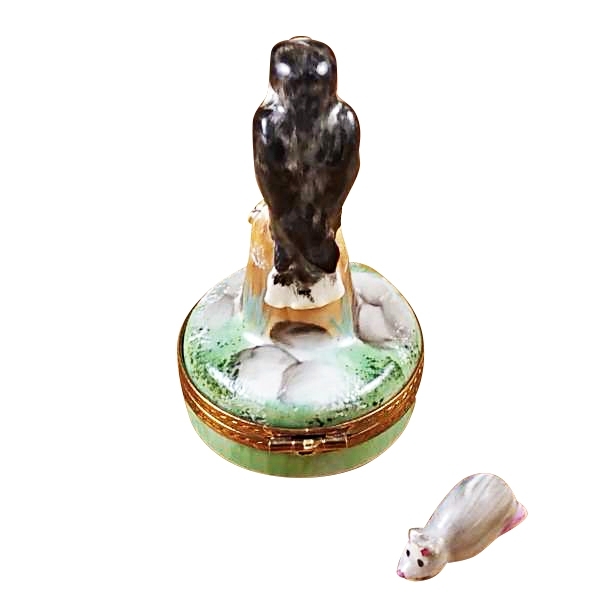 FALCON WITH MOUSE - Limoges Boxes and Figurines - Limoges Factory Co. 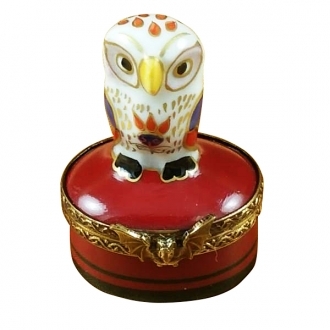 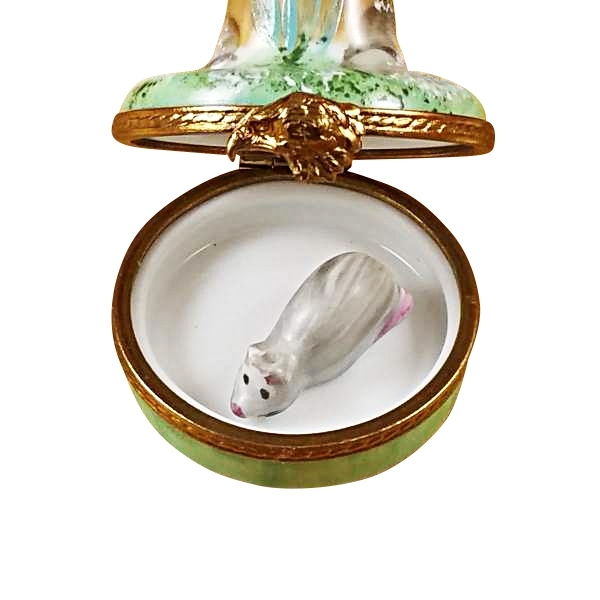 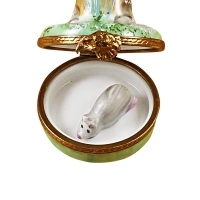 This round Limoges box displays a falcon sitting on a rock apparently concentrating on the mouse figure in front of it. 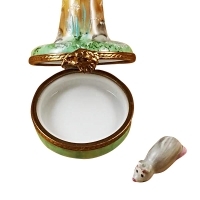 The mouse seemingly unaware of the impending danger is going about its business. 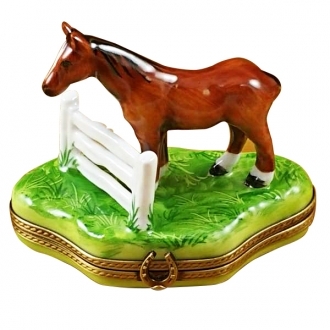 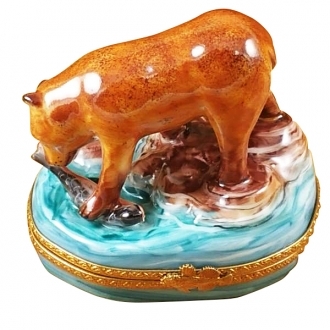 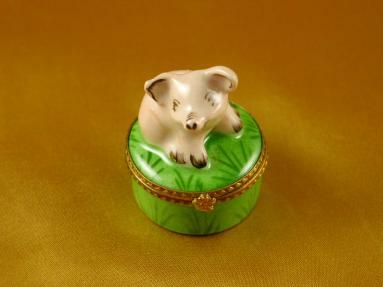 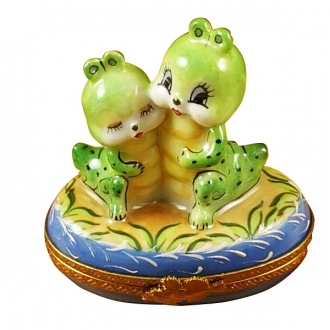 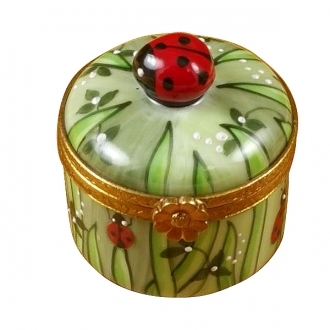 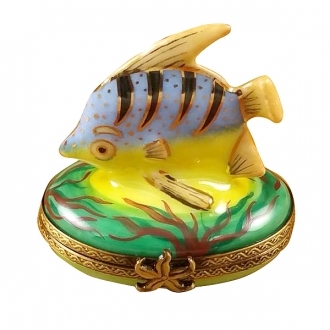 This is another of those Limoges boxes which represent the drama of wild life. 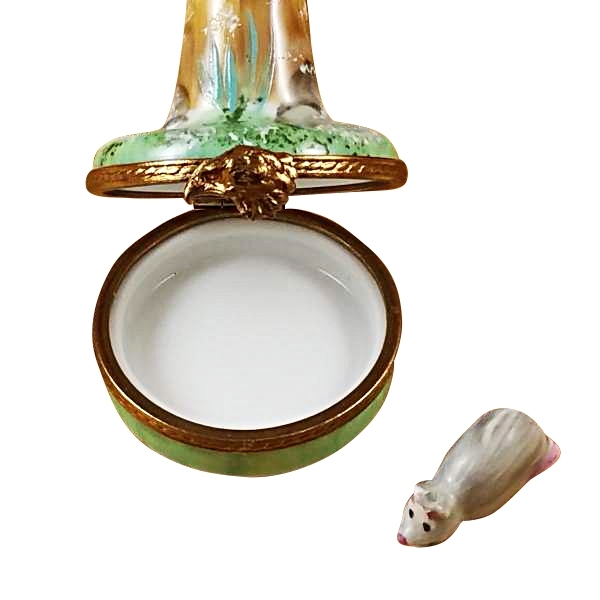 This will make a good showcase item.